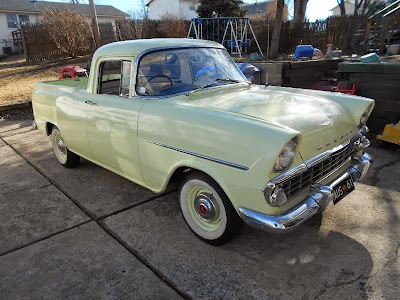 Just A Car Geek: 1962 Holden EK Ute - The Only One In The United States? 1962 Holden EK Ute - The Only One In The United States? Except for the issue of driving on the wrong side of the road, any US car geek would feel right at home in Australia. Like Americans, the Aussies like fast cars and pick up trucks. Holden is GM's Australian subsidiary. The pretty spectacular last generation Pontiac GTO was nothing more than a rebadged, third-generation Holden Monaro. The Pontiac G8 sedan was a rebadged Holden Commodore. (The G8 GXP - just 1829 built - is an amazing car and one I would love to own.) The current Chevrolet Caprice Police Patrol Vehicle is built by Holden. The Holden EK was a mid-size car built in 1961 and 1962. It's roughly 2" shorter than the first generation Chevy Nova. It came with a 2.3 liter I6 and a choice of a 3 speed manual or 3 speed automatic transmission. It was available as a sedan, station wagon, panel delivery van, and, like this one, as a small pick up truck. The seller says this EK Ute (pick up) might be the only one in the United States. I have no reason to doubt that. He doesn't mention how long it has been here or whether it was restored here or prior to being shipped here. 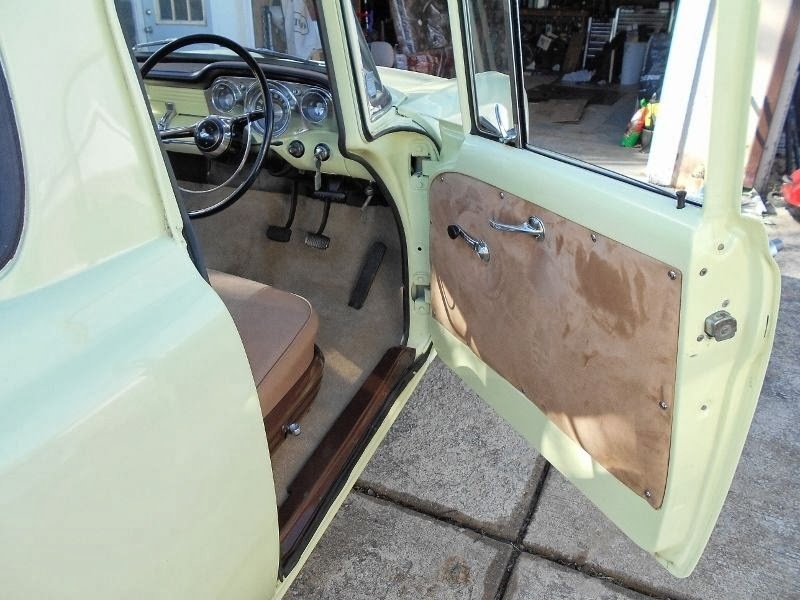 Overall, it looks to be in very nice condition. 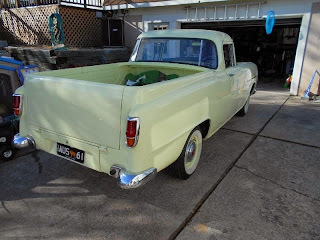 The asking price is $10,000.00, which I realize is A LOT of money for an EK Ute. But, if you think about the costs of finding one in Australia, having it shipped to the United States and having it restored to this condition, it is not outrageous. Whether the seller can find someone who will spend that kind of money ob an EK Ute is still to be determined. As I write this there are no bids on it. Located in Saint Charles, MO, click here to see the eBay listing. Late last year, GM announced that Holden production in Australia would cease by the end of 2017. Holden branded vehicles will still be available, but built outside of the country. In the 1970s, Holden ran an ad based on Chevy's "Baseball, Hot Dogs, Apple Pies and Chevrolet!" ad campaign. 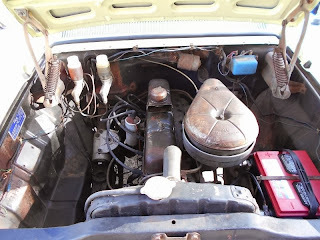 Check out "Football, Meat Pies, Kangaroos and Holden Cars!" Except for the muscle car guys, I'm not sure antique car buyers care what the average american thinks. Although, it can get annoying when getting asked the same question over and over again. I used to think I was educating people, but only a few really care. When I was hauling my Rover P5 home, an older dude and his wife stopped us and asked: "Is that for sale? Is that a Mercedes?" To which I replied, "if you don't even know what it is, why are you asking the first question?"